How to Plan a Trip to Tibet? Tibet is an unforgettable land where high Himalayan mountains contrast with vast open plains and crystal clear plateau lakes. 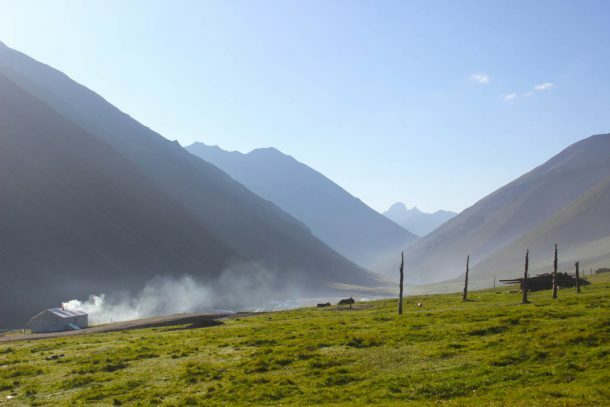 The most unique environment on the planet, the Tibetan plateau is the highest plateau in the world, with an average altitude of around 4,800 meters (15,748 feet). This stunning plateau landscape is one of the most beautiful places you can visit in Asia, and planning a trip to Tibet, the amazing land of Buddhist monasteries and devout pilgrims is not as hard as many people think. While travel in Tibet is strictly controlled, with all international tourists being required to be on a pre-arranged tour with a registered Tibet tour operator. The requirements for traveling to the plateau are not hard to arrange, as it is the tour operator that does most of the work for you. From arranging the Tibet travel permits and tour guides to booking your accommodation and even helping to arrange travel into the region from China or Nepal, if you follow the simple steps listed here, you will find that arranging your tour of Tibet in 2019 is really easy. Deciding when you want to visit Tibet is one of the most important things to do, and you should do this first. Travel in Tibet can vary depending on the seasons, and these can also affect when you can travel. Tibet has defined tourist seasons, with summer being the peak season and winter the low season. Spring and autumn are known as “shoulder seasons”, which are not as costly as the peak season but are more expensive than the low season. They are also the main seasons for trekkers in Tibet, as the weather is at its best for hiking along the many trekking trails in the region. So those season are best to plan trip to Tibet. 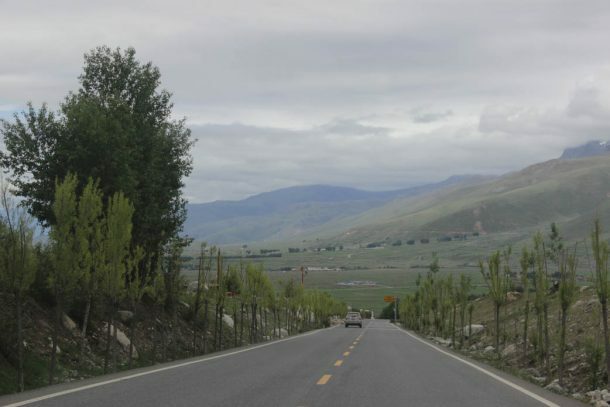 Tibet has a defined four season climate with a summer monsoon season. The peak season for tourism, summer runs from June to September, and while this may be the monsoon season, it is not as wet as the lower-altitude places in Asia. It is also pleasantly warm, and the rains often only come in the late afternoon and evening. Conversely, winter is the low season, from December to February, and is when there is the highest chance of snow across the plateau. Some places can be hard to get to in the depths of winter, and with temperatures ranging from 12 degrees to -20 degrees, it is best to plan carefully when traveling in the winter months. Spring and autumn, from March to May and October to November, are the optimum times to travel if you are trekking, or if you want to avoid the hot rainy weather or cold winters. 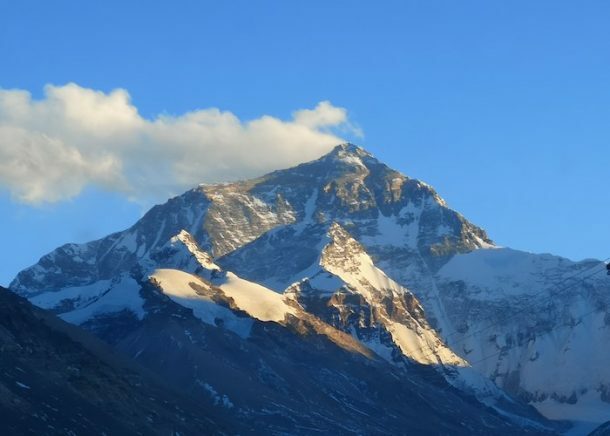 The weather is pleasant and warm during the day, and the skies are clear and bright, making it perfect for hiking to Mount Everest or Mount Kailash. You can read more about the weather in Tibet here. Once you have decided when to go, you will need to arrange your Chinese Entry Visa. This is only needed if you are entering Tibet from mainland China, and for those entering from Nepal, the Chinese group visa is arranged by the tour operator. Your visa must be applied for from the Embassy of the People’s Republic of China in your home or resident country, and is normally applied for in person. However, some countries have postal applications for the Chinese Entry Visa, while others are required to use the Chinese Visa Application Service Centers (CVASC). The individual requirements can be found on the website of the Chinese Embassy for your own country. Processing of the visa normally takes 3-5 working days, as long as all the requirements are met. CVASC and postal applications can take longer. Once you have your visa, it is time to book the trip to Tibet and make the payment in advance. Booking the trip is easy, and our professional tour advisors can help with deciding where to go and give you sound advice on the best places to visit. It can also help to have an idea of where you might want to go before you speak with us, so we can find a group tour to suit your needs or create a private tour that includes all your requirements. You can find more details of the stunning places to visit in Tibet here. Once you have booked and paid for your tour, we will be the ones making the application for the renowned Tibet Travel Permit (TTP) on your behalf. Individual and personal applications are not permitted, so we will use scanned copies of your passport and visa (if required) to make the application with the Tibet Tourism Bureau in Lhasa. Processing can take up to 20 days, so you should book your trip as early as possible to avoid delays. However, this can be a lot shorter in the low seasons, and is rarely that long even in the peak season. Once the permit has been approved, we will forward the original or a photocopy to your hotel in China, ready for your trip to Tibet. There are two main ways to get to Tibet from both China and Nepal. Flights can be taken from mainland China and Nepal, and you can get a flight from more than a dozen cities across China, including Beijing, Shanghai, Chengdu, Kunming, Xi’an, and many more, as well as from Kathmandu in Nepal. Flights range from 90 minutes to eight hours, depending on your departure airport, and can cost from 200 to 700 US dollars. It is best to search around to find the best deal. The alternative from mainland China is the famous Tibet Trains, which depart from seven gateway cities to Tibet, including Beijing, Shanghai, Guangzhou, Chengdu, Chongqing, Lanzhou, and Xining. Trains take from 22 hours to 55 hours to get to Tibet. It can cost from as little as US$ 74 per person, depending on your departure location. For those entering from Nepal, instead of taking a flight to Lhasa, you can travel overland from Kathmandu, and do the tour in the reverse order, crossing the vast Tibetan plateau from the Sino-Nepal border to the Tibetan capital by road. While we are unable to arrange your flights into Nepal or mainland China, we can help with the booking of train tickets for Tibet, as it is easier for us to do this than for you to do it yourself. Train tickets open 60 days before the date of departure and can sell out fast. Online booking cannot be done by international tourists, and buying when you get to China may be impossible if they are sold out for your date of travel. We can guarantee your tickets if you have booked well in advance of travel. That makes way more easy and reliable.